Not all farm produce can be used straightaway; some of your farm crops require to be processed in order for them to create useable food for your townspeople. While such crops as cheese, apples and even meat can be delivered straight from source to the granary, other crops require to be reworked. As with farming, not all farm processing buildings are available to use in the game, although if you have the farm capability, then you will also have the means to process the crop. Altogether there are five types of food processing buildings which you can make use of in the game. 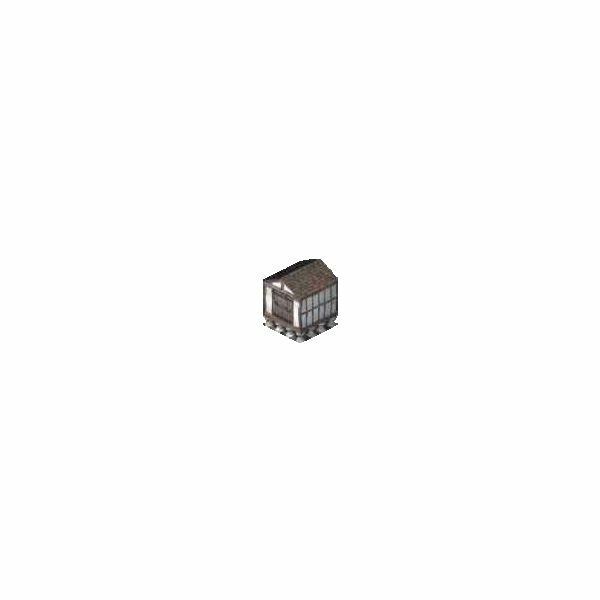 Farm processing buildings are depicted by a sickle icon on the buildings panel and these buildings, their resource cost and their product output are detailed in the sections below. As mentioned, there are five types of food processing building available in the game. These are: Bakery; Brewery; Granary; Inn, and Mill. The bakery is used to turn flour into bread. Bakers will collect sacks of flour from your stockpile and bake them into loaves of bread for depositing in the Granary. Although breadmaking is a lengthy process, due to the number of links in the production of the foodstuff, it quickly becomes the most efficient method of generating food. Multiple bakeries can work from the produce of a single mill, so it is worthwhile building more than one, especially if you have a growing population. The brewery’s function is to turn hops into ale, which in turn is used by the inn. Brewing ale brewing is time consuming, but worthwhile due to the popularity increase it provides. Ale can also sometimes be traded in the Marketplace. Brewers must fetch hops from the stockpile for processing, before returning the finished ale back to the stockpile. Breweries cost 10 wood to build and use 1 worker. Each basket of hops creates one keg of ale. The Granary is not a food processing building per se, but acts as a repository for all foodstuffs from all the various farms. 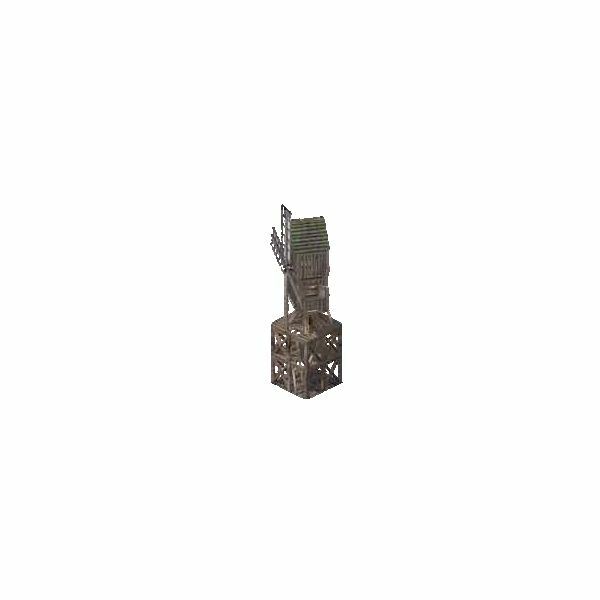 It is perhaps the most important building in your stronghold and should be protected as much as possible from enemy attack. Should your granary ever be destroyed, you will lose all the food that was contained in them, which will negatively impact your popularity in turn. Granaries are also occasionally robbed, causing you to lose some of your food stocks. The granary can only hold a limited amount of food – 250 units – before it becomes full. Other granaries can be built to increase storage, but each one must be attached to an existing granary, so choose where you place your first granary wisely! Granaries cost 10 wood to build, although your initial granary is free. They do not require workers to operate them. The inn is used as a place of rest and relaxation by your workers. They will visit the inn and consume the ale that has been brewed by the brewery. Depending on the placement of your inn, you will receive a bonus to your popularity according to the coverage of the inn and the amount of flagons available to be drunk. The innkeeper must visit the stockpile to fetch a barrel of ale and return to the inn to make it functional. Note however, that while an inn is excellent for your popularity, the efficiency of your workers will decrease slightly. Inns cost 50 wood to build and use up one worker. There is also a 25 gold coins cost to build them; they are the only food processing building that requires a monetary cost. The mill is used to turn wheat bushels from the wheat farms into flour for the bakeries to use in the baking of bread. One mill can supply several bakeries with enough flour to keep production running and can also grind the wheat for several farms, making their initial resource cost almost negligible. Windmills have a very quick turnaround time from wheat bushel to flour sack, helping to make the process of bread production the most efficient in the game once started. Mills require 20 wood to build and use 3 workers to operate. It is often a good idea to place your farms and processing buildings as near as possible to your stockpile and granary, in order to maximise food production and keep the granary stocked. Remember, the further your workers have to travel to deliver their food or materials the less efficient your food production becomes. You should place your Inn where it will capture the greatest amount of townsfolk, in order to receive the highest popularity bonus and also to ensure the inn is stocked with ale. Like the farmer, the further the innkeeper has to travel, then the more likely the inn will run out and you will lose the popularity bonus as ale tends to be depleted quickly. Remember though that multiple inns can be built to increase coverage, although this can be costly if gold is at a premium. In the next part of this guide to the original Stronghold PC game, we’ll explore the town buildings available in the game, as well as the ‘good’ and ‘bad’ structures which determine whether you are a benevolent lord or a malicious one.